Vegas Hero Casino - Read our in depth review of this new UK casino! Launched in 2017, Vegas Hero is the new breed of online casinos. Vegas Hero is one of the most exciting new casinos in the UK market and the world. With a wide range of games and great payment options, it feels fresh and clean to enter Vegas Hero website. With a fresh look and feel the theme with red and white surely feels fresh and clean. Lag free experience makes it exceptional to navigate between the different games. When you first sign up you get a prominent welcome bonus not only on your first deposit but also on your second, third and fourth deposit. VegasHero Casino also offers free spins on sign up with wagering requirements. Always read the wagering requirements closely. You can find the link to Vegas Heroes terms and condition in the info above. VegasHero has a broad range of games ranging from the latest video slots to exciting live casino table games. Some of the more popular games are Starburst, Dazzle Me, Neon Staxx, Sparks, Glow and Stickers. VegasHero is sure up to date when it comes to being a new online casino that is mobile friendly. It doesn’t matter if you have an iPhone, iPad, Android, Windows or any other type of portable device. The site beautifully adapts to your portable device small screen no matter what size of screen your phone or tablet has. It really feels that Vegas Hero Casino has made this casino experience with mobile devices in mind from the start. 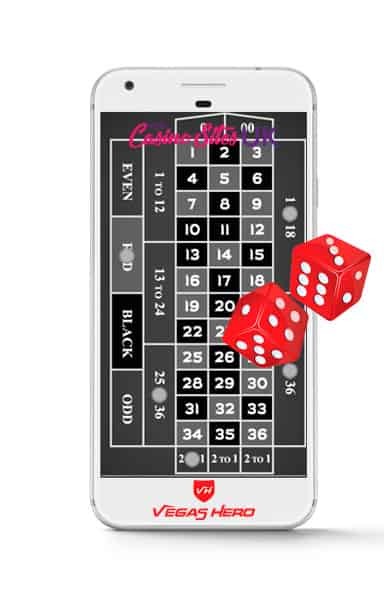 This is sure a great casino at the top of your fingertips. Payment options are an important part of your casinos experience and it surely feels safe to have some familiar options to chose from. Vegas Hero Casino offers a wide range of possibilities for you as a player to deposit and withdrawal money. You may be familiar with some of them; Klarna, Skrill, Visa, MasterCard, Neteller, Paysafe Card, Maestro. With a hyperfast live customer support chat, you always are a click away from VegasHero customer support. VegasHero have UK License and closely follows the UK Gambling Commissions regulations. They also offer a wide range of support if you feel that gambling no longer is fun and if you suspect that you are gambling for the wrong reasons. VegasHero is surely a breath of fresh air in the new online casino world. Players in the United Kingdom will surely enjoy this up to date, a lightning fast casino with modern adoptions for all mobile devices. The support is brilliant and VegasHero Casino offers almost have all possible payment options out there. With a responsible approach and clear terms and condition, Vegas Hero is one of the most modern and most likeable new online casinos we have tried out so far! 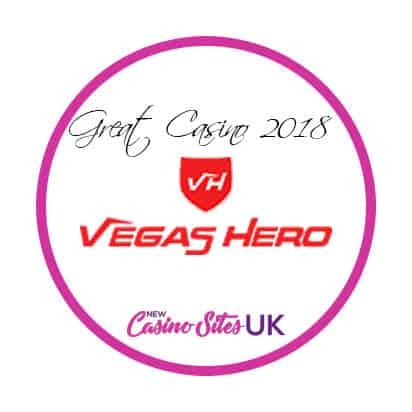 //The team at New Casino Sites UK can strongly recommend Vegas Hero Casino!